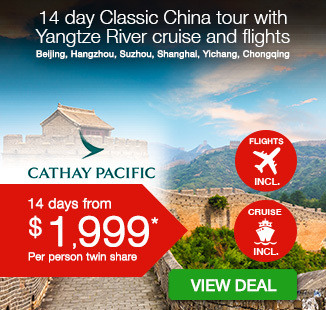 Including return Qantas flights, premium accommodation including a stay at the luxury 5-star Shangri'La China World Hotel, breakfast daily, private coach transportation, sightseeing, English-speaking guides and more. China has no shortage of marvels – both man-made and natural – to dazzle its visitors. 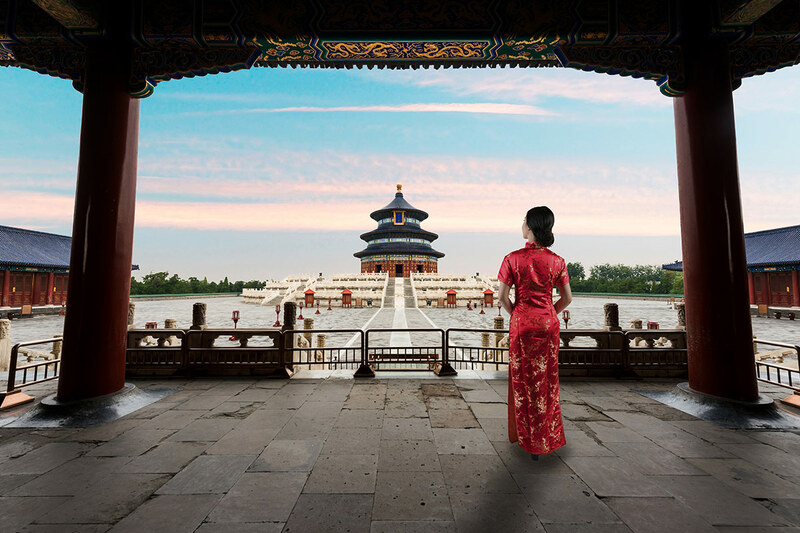 Discover its highlights on a 12 day Wonders of China tour, which includes return Qantas flights and 3 nights in a 5-star Beijing hotel. This trip encompasses some of China’s most beautiful sights. 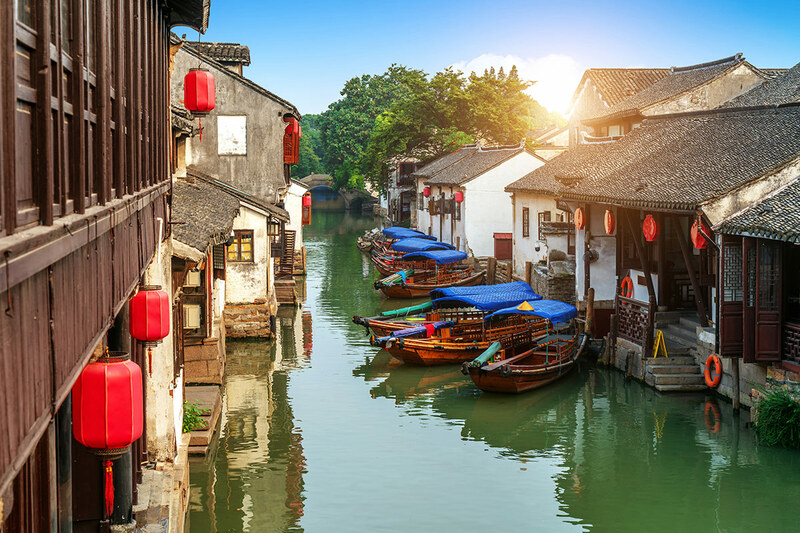 Start in Suzhou and quickly come to understand why this city was once nicknamed the ‘Venice of the East’. 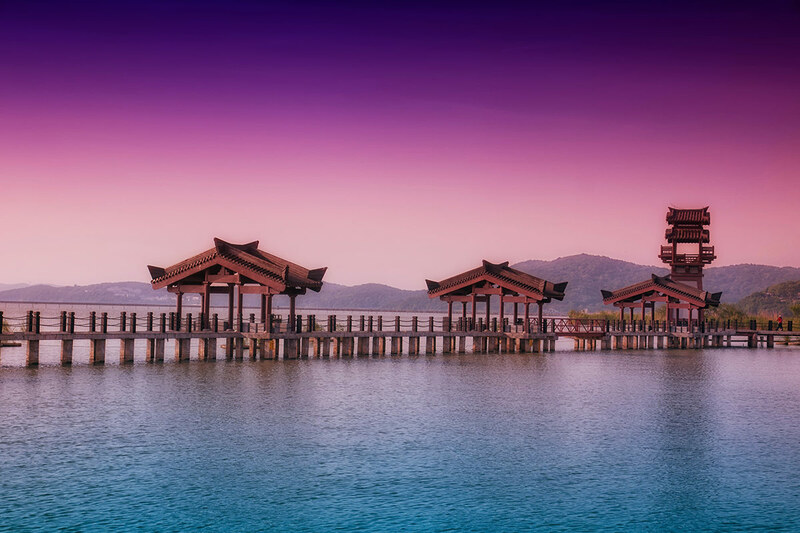 Take in the view across Lake Tai in Wuxi and admire the precious bounty at a freshwater pearl farm. 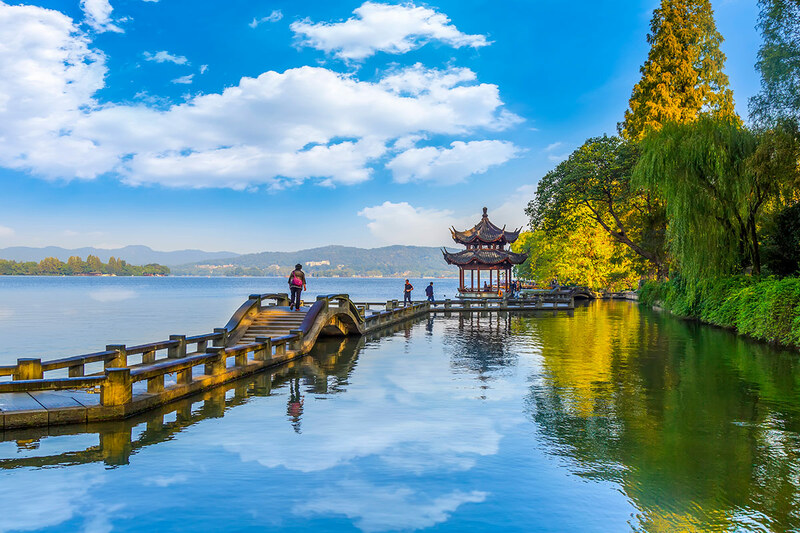 Make the journey to Hangzhou to see the West Lake Cultural Landscape, a panorama that is a UNESCO World Heritage Site and has long-inspired poets, artists and scholars with its pavilions, temples and gardens. 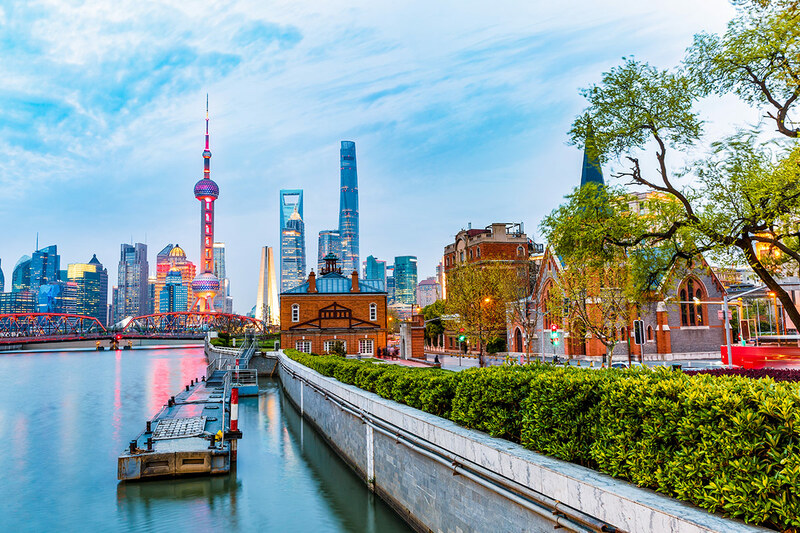 Seek out the hustle and bustle of Shanghai and brush up on your knowledge of the city’s history by wandering between exhibits and displays at the Shanghai Museum. Step on-board a bullet train for the high-speed journey to Tai’an and join in on optional tours to discover the area. Embrace old legends at Black Tiger Spring in Jinan, and then take another bullet train to one of the world’s most fast-paced, exciting and diverse cities: Beijing. 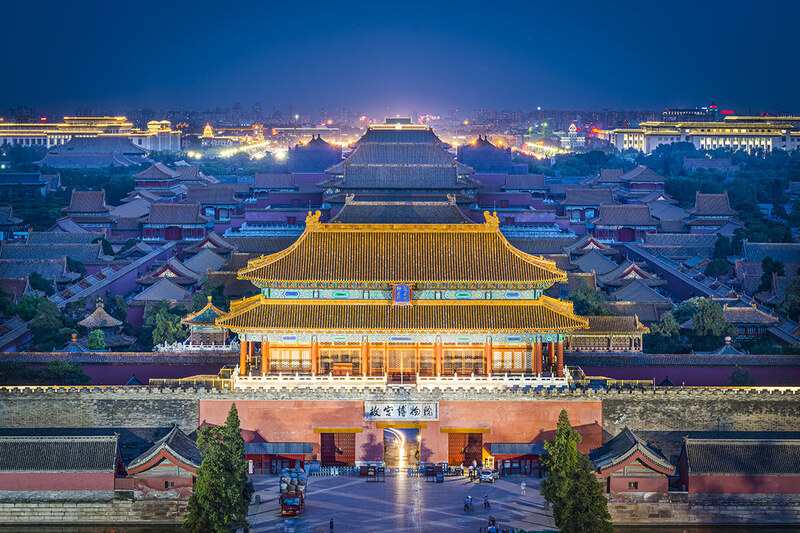 Feel overwhelmed by the size and scale of the enormous Tiananmen Square and walk in the footsteps of old emperors by crossing into the Forbidden City. Finally, tick off a bucket list experience by climbing a section of the Great Wall of China. Depart Australia for China. 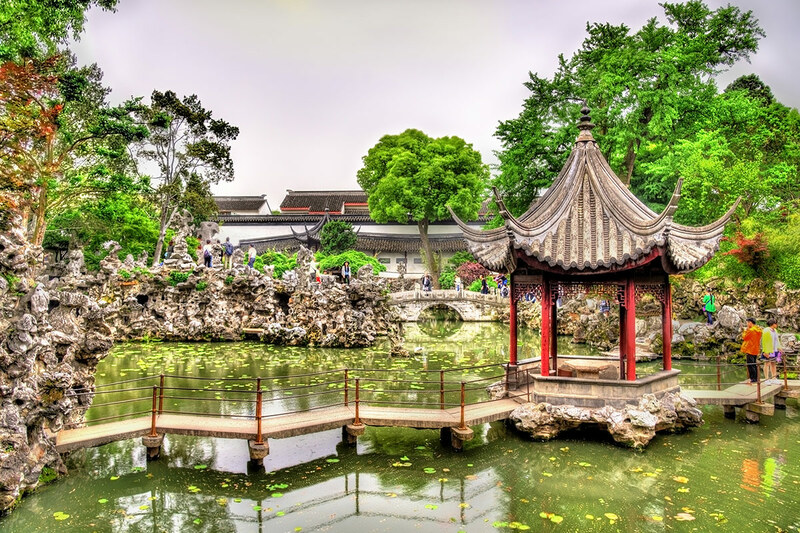 You will be met upon arrival by a tour representative and then transferred to Suzhou for check in at the hotel. 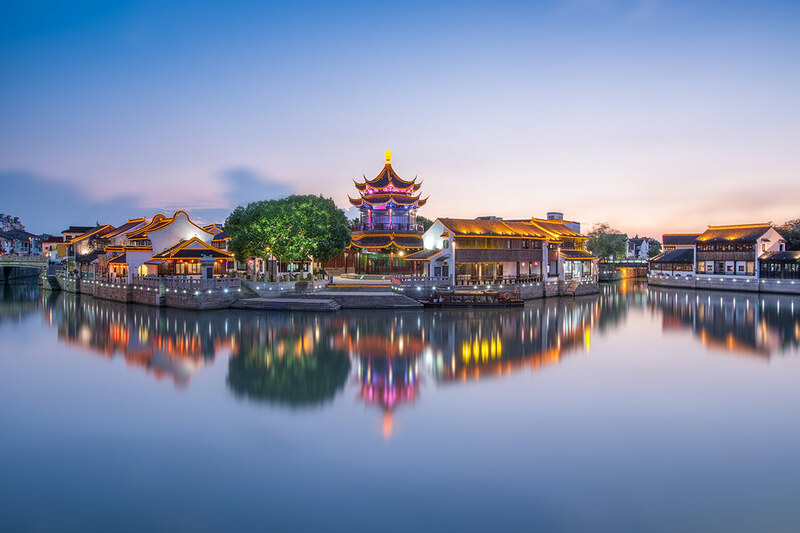 Suzhou was once dubbed the ‘Venice of the East’ for its network of beautiful waterways. This city is also beloved for its famous Lingering Garden, a UNESCO World Heritage Site that also happens to be on the agenda for today. 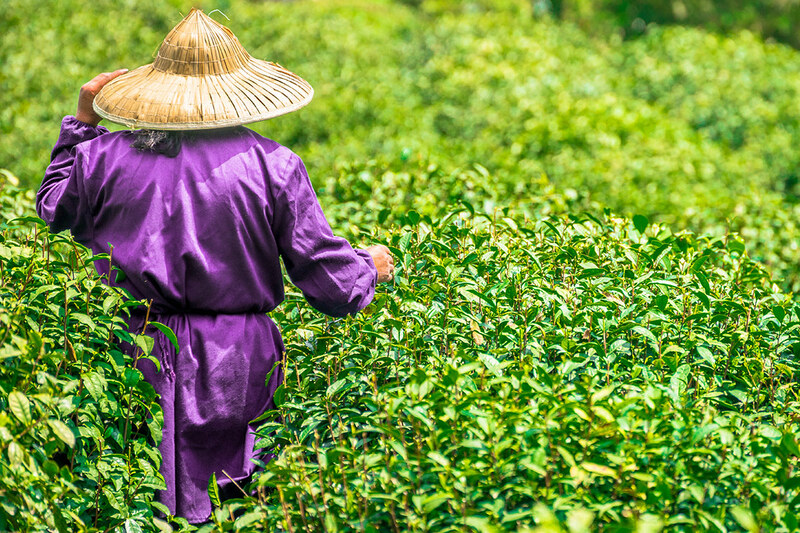 After seeing the gardens, visit a working silk-spinning mill and then travel to Wuxi. 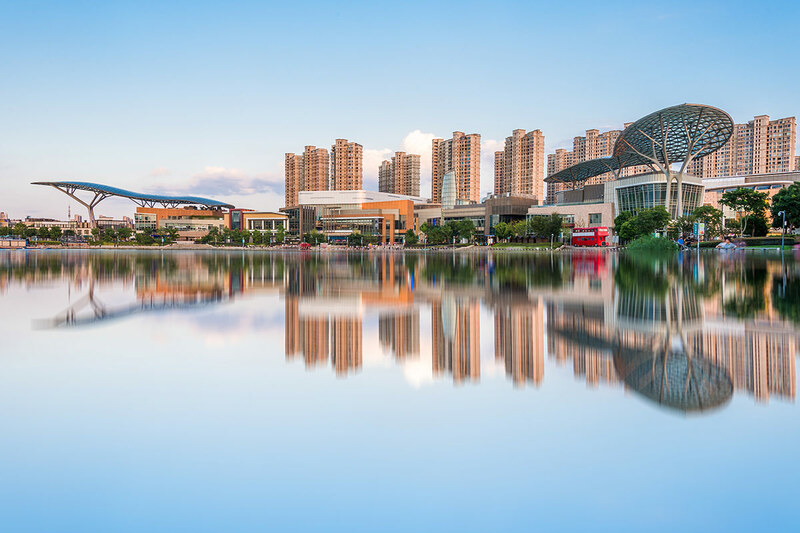 The sights to take in in Wuxi include Lake Tai, the third-largest freshwater lake in China; and Nanchang Street, a boulevard lined with a mix of old and new architecture. Enjoy a cruise along Suzhou’s Grand Canal after lunch. Additional cost applies. Feast on a delicious dim sum dinner that includes xiaolongbao, a Chinese steamed bun filled with minced pork and hot soup. Additional cost applies. Tour the Brilliance of Lake Lihu this morning. The visit to the lake, which is located at the famous Lake Taihu, is followed by an excursion to a freshwater pearl farm. It is then onto to Hangzhou; the city Marco Polo once described as the most beautiful and magnificent in the world. The Romantic Show of Songcheng is a live spectacle that has been performed more than 20,000 times. The show is a symbol of the city and chronicles the rule of the Song Dynasty. Additional cost applies. This morning, visit the UNESCO World Heritage Site of Hangzhou’s West Lake Cultural Landscape. The group then travels to a tea plantation to taste Dragon Well tea and to see how this green tea is hand-picked and pan-fried. The tour travels to Shanghai later in the day. See Hangzhou’s most famous natural feature up close with a boat ride on West Lake. Additional cost applies. Set off on an evening cruise along Huangpu River and take in the sight of Shanghai at night. Additional cost applies. Take a step back in time to old-world Shanghai at the Shanghai Museum, which is home to a collection of more than 12,000 objects and artefacts. There is some free time after the museum visit. This excursion takes you to the Lujiazui Financial and Trade Zone to see Jinmao Tower. Then, it is on to another of Shanghai’s famous sites: Xintiandi. This car-free district is a hub for shopping, dining and entertainment. Additional cost applies. Catch a performance of the thrilling ERA-Intersection of Time show. Additional cost applies. Board a famous bullet train for the speedy journey to Tai’an, a city that sits at the foothills of Mt. Tai. Visit the Confucius Temple, built in 478 BC as a place for various dynasties to offer sacrifice to Confucius. From here, travel to Kong Family Mansion, which is the government office and private mansion of Confucius’ descendants. The last stop of the excursion is the Cemetery of Confucius, a well-preserved site of religious tombs and gardens. Additional cost applies. Travel to Jinan after breakfast and visit Daming Lake, located in the centre of the city. Admire the size and importance of the lake before travelling to see Black Tiger Spring. According to legend, the spring once boasted a black rock, shaped like a tiger, at its entrance. The sound of the water rushing over the rock was also said to resemble the roar of a tiger. In the evening, board a bullet train and travel to Beijing. 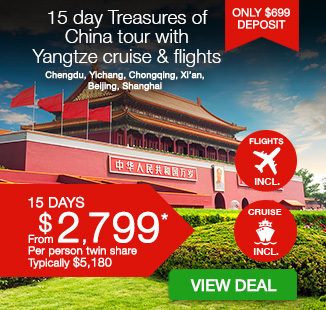 Explore the world-famous Tiananmen Square and the mystical Forbidden City today. The Forbidden City was the former home of emperors from the Ming and Qing dynasties and is now the location of the National Palace Museum. Tonight, see a performance of either the Golden Mask Dynasty Show or Kong Fu Legend Show. Additional cost applies. 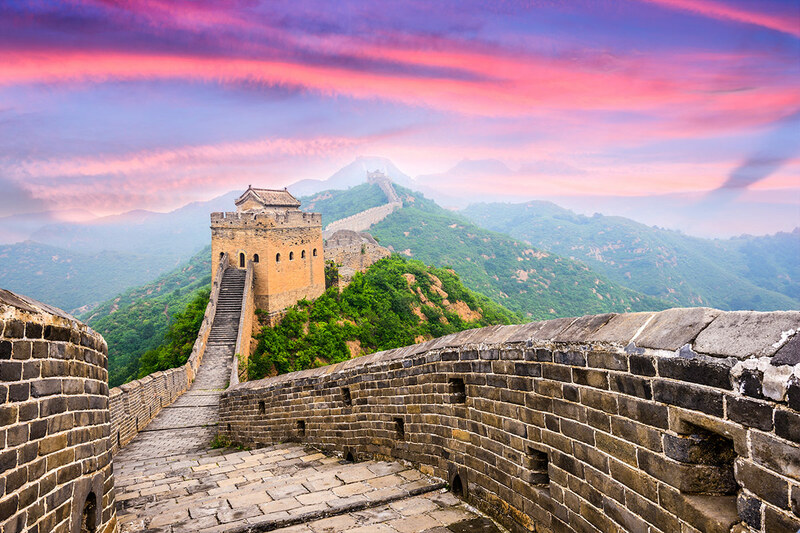 Today’s highlight is a trip to arguably China’s most famous landmark: the ancient Great Wall of China. Travel to the section at Juyongguan (Juyong Pass) and clamber up the steep steps to admire the scale and history of this incredible man-made wonder. On the way to the Wall, there is a stop at a large jade exhibition. Explore the hutongs (alleyways) of Beijing via rickshaw, a traditional mode of transport that is perfect for navigating the twists and turns of these lanes. Additional cost applies. Indulge with an authentic Peking Duck banquet dinner, served with all the traditional trimmings and accompaniments, to toast to your last night in China. Additional cost applies. Visit Beijing Zoo after breakfast to see some of its most beloved, and iconic, residents: the giant panda. There is a visit to Beijing Tong Ren Tang Chinese Medicine to learn about traditional Chinese healing, and there is some free time to shop for last-minute treasures in Wangfujing. Later in the day, a transfer will take you to the airport to catch your Australia-bound flight. 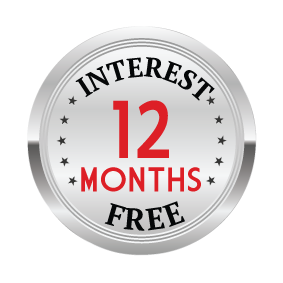 A deposit of $745/$995/$1,125 per person are due at the time of purchase in order to secure your date. Final payment is due 120 days prior to travel and will be collected by our Travel Partner. If you book within 120 days of travel, you will be sent an invoice within 7 days for final payment. Invoices will be emailed to you in advance and it is your responsibility to ensure payments are made prior to the due date. Documentation will be provided 2-3 weeks prior to departure. A preliminary itinerary will be sent you prior to this time to ensure that you can arrange your Visas (where required) in a timely manner. $580 per person in addition to the twin share price. Payable direct to our travel partner once your booking has been made. Triple Share: Available on request. Please purchase 3 x twin share vouchers. A $220 surcharge will apply upon confirming your booking. All optional tours are payable direct to our travel partner once your booking has been made. All AUD amounts are subject to currency exchange rate and they may change at any time without advance notice. Brisbane- A $250 per person interstate surcharge applies. Adelaide– A $380 per person interstate surcharge applies. Customers may be flown to Sydney or Melbourne to join their international flights. Some flights may depart a day before/after, involve up to 2 transits per leg, stopover or a substitute airline. These changes are beyond our control and will be confirmed upon booking. All flights have been booked to meet minimum connection times as instructed by the ticketed airline. If you wish to extend your trip, from $250 per person breakaway charge will apply (subject to availability and applicable fare difference) payable at the time of completing your booking. Your stay behind request must be submitted when completing your booking form. PLEASE NOTE: No staybehind will be actioned until your final payment is made.